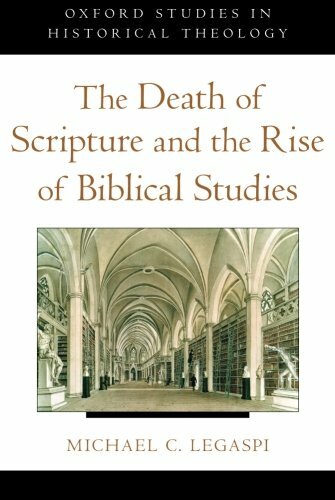 The Death of Scripture and the Rise of Biblical Studies examines the creation of the academic Bible. Beginning with the fragmentation of biblical interpretation in the centuries after the Reformation, Michael Legaspi shows how the weakening of scriptural authority in the Western churches altered the role of biblical interpretation. Focusing on renowned German scholar Johann David Michaelis (1717-1791), Legaspi explores the ways in which critics reconceived the role of the Bible. This book offers a new account of the origins of biblical studies, illuminating the relation of the Bible to churchly readers, theological interpreters, academic critics, and people in between. It explains why, in an age of religious resurgence, modern biblical criticism may no longer be in a position to serve as the Bible's disciplinary gatekeeper.